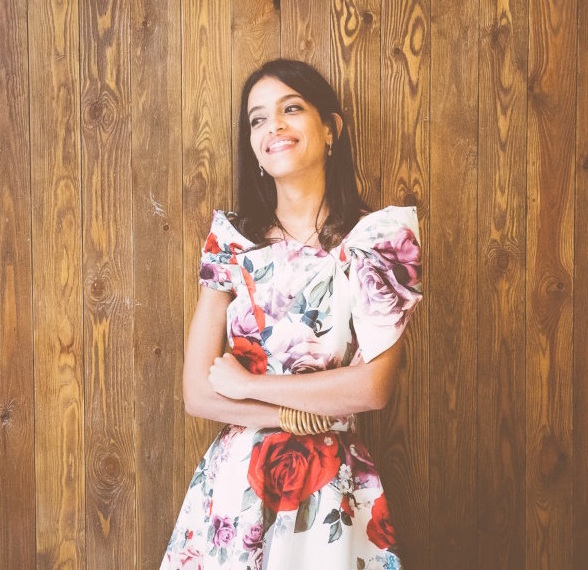 Egyptian fashion blogger and entrepreneur Hana Elawadi has made it her mission to promote local brands and the designers, artisans, and companies behind them with her #HanaGoesLocal initiative. 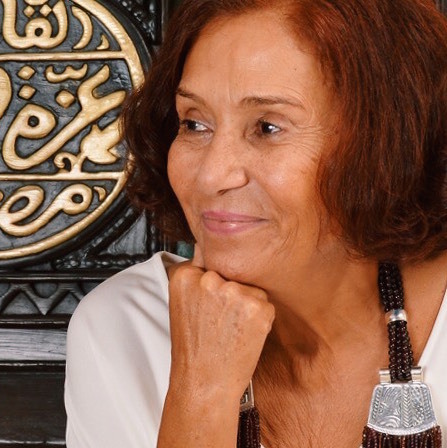 In this guest post, El Awadi discusses her bid to empower and revive Egypt's domestic industry. A lot more people are buying “local” now more than ever. Why now? I’d like to say that it’s because of my initiative #HanaGoesLocal, which revolves around highlighting domestically made products, but I know that’s not the main reason. #HanaGoesLocal was founded with the aim of shedding light on local markets, developed by both up-and-coming as well as more established entities, by promoting their work on my social media platforms. I would say that I try to act as something of an eye opener to customers on not just what’s available out there, but also what’s actually good, as I try and test everything before I post about it. Why did I choose to go in this direction and support local artisans, crafts, and services? It hit me when the dollar crushed our Egyptian pound about a year ago; I realised that everyone was being very negative about the situation and rightfully so, but there was nothing we could do about it. It dawned on me that this was the chance for many local suppliers to shine and get noticed. There was no concrete plan of turning this into what it is today; it happened by pure coincidence. I was just posting one photo to support local artists and explain why now was their time – and our time to buy local and empower them and our domestic industry – and I just added the hashtag #HanaGoesLocal at the end, and bam! That picture gave me more of a reason to be on social media than ever. Coming from a fashion background and having had my own fashion line, El Horreya Designs For Freedom in the past, I knew how hard it was for these artists and local entities to get noticed and grow. I had a good number of followers on my social media channels and decided to use that to give back to my community in a way, and help these local start-ups and businesses. Today in Egypt we have a lot of incredibly talented designers and a ton of really cool services that are being offered by Egyptians. Quality has improved big time – this was, in my opinion, one of the main reasons people didn't buy local in the past; a lack of quality in the local industry, real or perceived. Product design has also has become very competitive in comparison to what you can find abroad, and more importantly, when you wear a unique local piece you stand out because it really is different to what everyone else will be wearing. 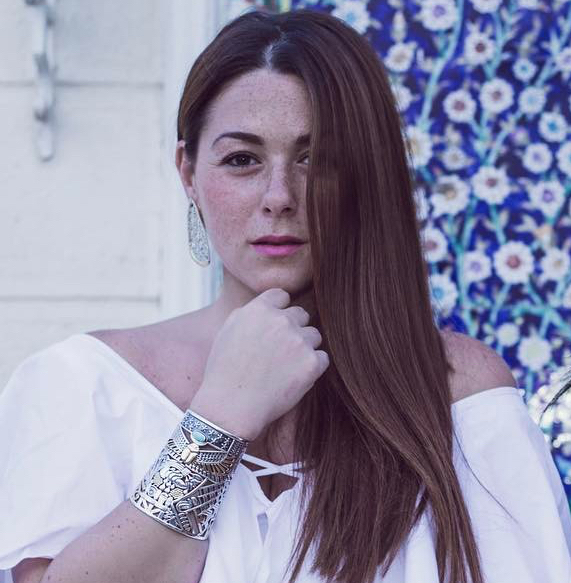 Coming from a fashion background and having had my own fashion line, El Horreya Designs For Freedom in the past, I knew how hard it was for these artists and local entities to get noticed and grow. In my day-to-day life, I always wear at least one thing that is local. I’m definitely not saying you need to change your whole wardrobe or go 100% local but the concept is more like why not integrate a few of your favourite local pieces with your high street wardrobe? If you take the time to actually look at what the local landscape has to offer, instead of immediately dismissing it in favour of more well known international brands, you might be surprised by the quality and variety that exists now – and I guarantee you’ll find products, or pieces that work perfectly for you. 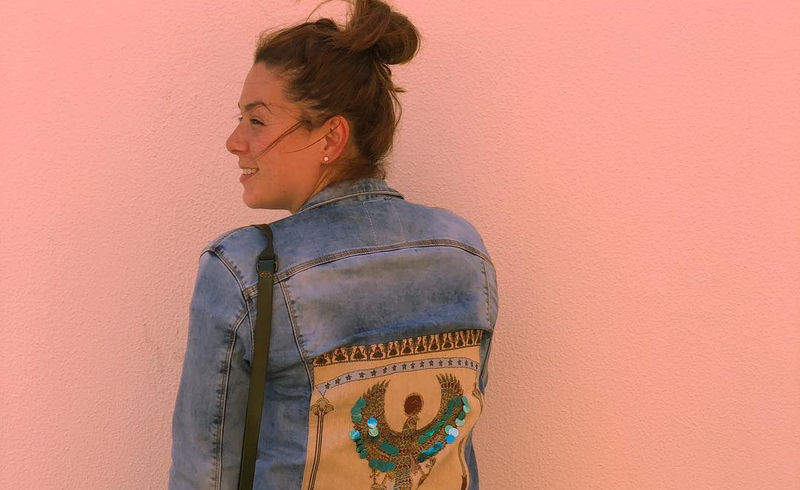 Egyptians now are literally doing everything from activewear to men’s accessories. Be it sunglasses from Jazzy, Amr Saad, or Nile Eyewear; your daily beauty products from Eva Cosmetics or Urban Ducks; a original and genuine leather handbag from Nuniz or Okhtein; a basic t-shirt from Cottonball; a kaleidoscopic scarf from Amina K; or even just a sleek menswear lapel pin from Huwa Designs – the sheer range of options out there now is immense. Egyptian brands are finally holding their own against their international counterparts; the designs are innovative, the finishing is pristine, and the variety is huge. I can name twelve accessory brands alone off the top of my head. Aside from the fact that you’re definitely adding to your wardrobe, you’re also helping local industries and artisans. When you buy local you help a family of at least four to six because that man or woman who is sitting at the other end of the whole process making your product not only often has nowhere else to go and use their talent, but also, truly does have a talent and we should appreciate their craftsmanship. So why not try to buy your presents from local businesses, decorate your home with local flowers to support the florists, purchase incredible healthy local produce from Sara’s Organic Farm, or local homemade peanut butter from a brand like Baked? These people coming up with incredible ideas and products for you have a team of people behind them who need our support – without us supporting these local businesses there is no way they would be able to continue to evolve and grow. If you want to see a difference in your community and want to help I suggest you start to look into what we have available from Egypt and support them! You can check out her Instagram account @hanagoeslocal.